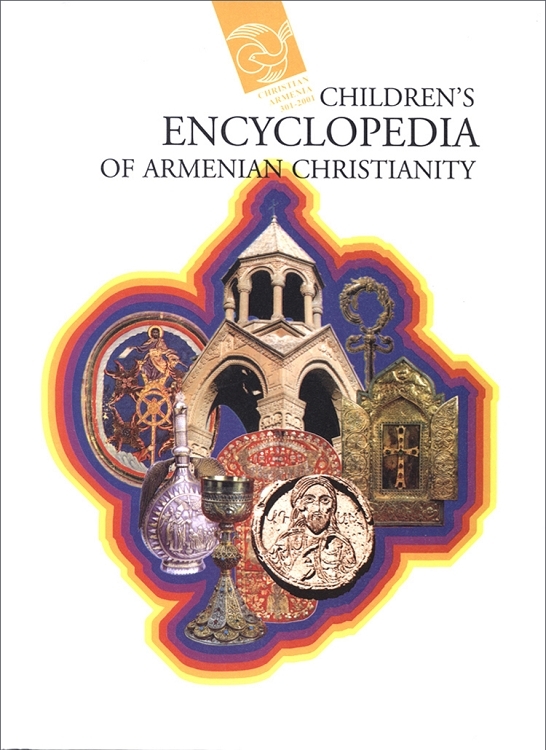 Children's Encyclopedia of Armenian Christianity is a detailed guide to the rituals, figures, saints, dress, holidays and architecture of the Armenian Apostolic Church. Although the book may be intended for children, adults will learn just as much from the thorough descriptions and colorful pictures that accompany the text. The mitre refers to the bishop's crown. It can be distinguished from the priest's crown by its more ceremonial appearance. It consists of two flat faces that come to sharp points. The faces are decorated with images of saints. The mitre symbolizes the idea that the head of the bishop is Christ and His Gospel.